Now compatible with Lightning iOS devices and USB devices. When charging with the included universal power external adapter, also charges your attached iOS device, including iPad. Digital audio link to iOS device for lowest noise, and best quality. 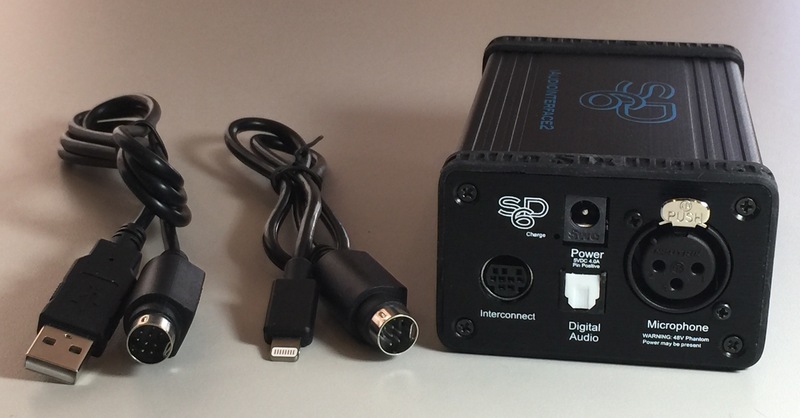 Uses our own A/D converters and DAC with precision USB audio clock recovery. Compatible with Lightning iOS devices and Mac & PC computers using the included USB interface cable. 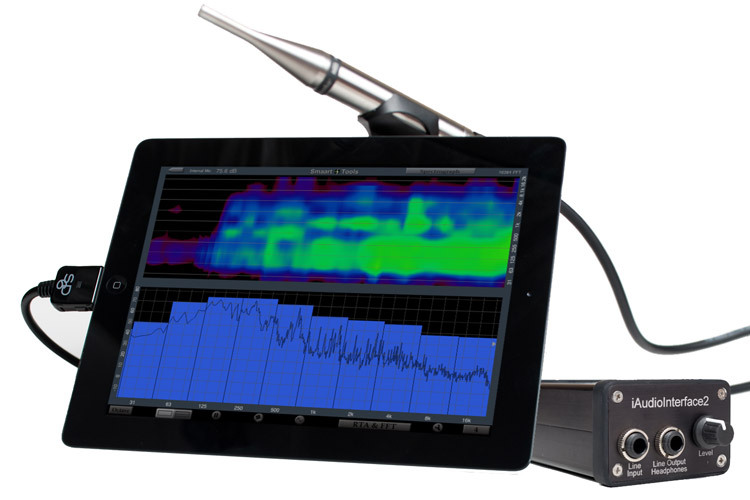 iAI2 is the perfect companion for AudioTools and the Transfer Function module, for loudspeaker testing, and as a general-purpose audio tester. It also works with many iOS audio Apps, including Garageband, Skype, SignalScope, Multi-Track Recorder, and more. With the included USB cable, now you can use iAudioInterface2 with your favorite PC or Mac-based audio software. Just download our free Mac-based control app to setup iAudioInterface2, or set it up in AudioTools on your iOS device before using it. You can also use iAudioInterface2 with our AudioTools Wireless app for remotely sending microphone audio to AudioTools running on another iOS device. Compare our iTestMic with iAudioInterface2. Price: $499.99 US Price Shipping status: Now shipping from stock.